SAIS Southern Cairngorms Blog » A calm and cloudy day. It was a calm day but fortunately the clouds stayed above the summits giving a pleasant day on the hill. Snow cover has been very firm first thing in the morning but with freezing levels above the summits it has continued to thaw and diminish. 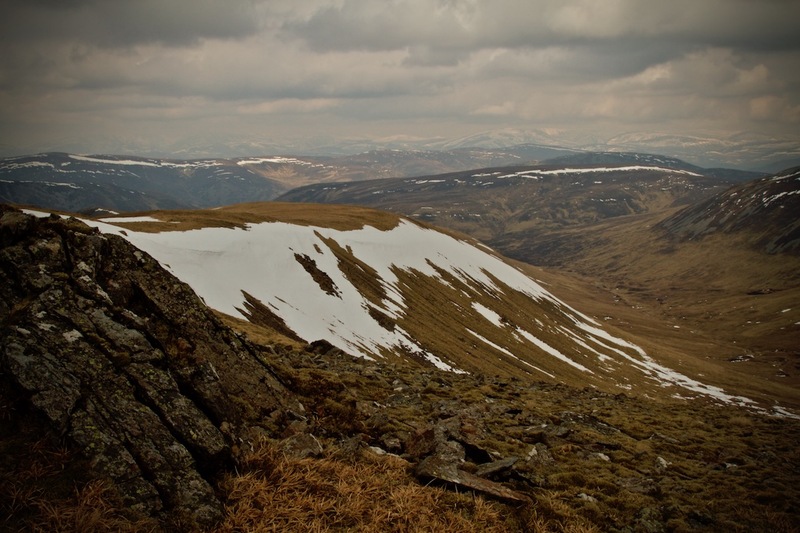 Greatest amounts are in the high well defined corries, much of which will refreeze as the freezing levels will drop to around 800 metres on Friday. Walkers access the hills around Carn an Tuirc area via this bridge. 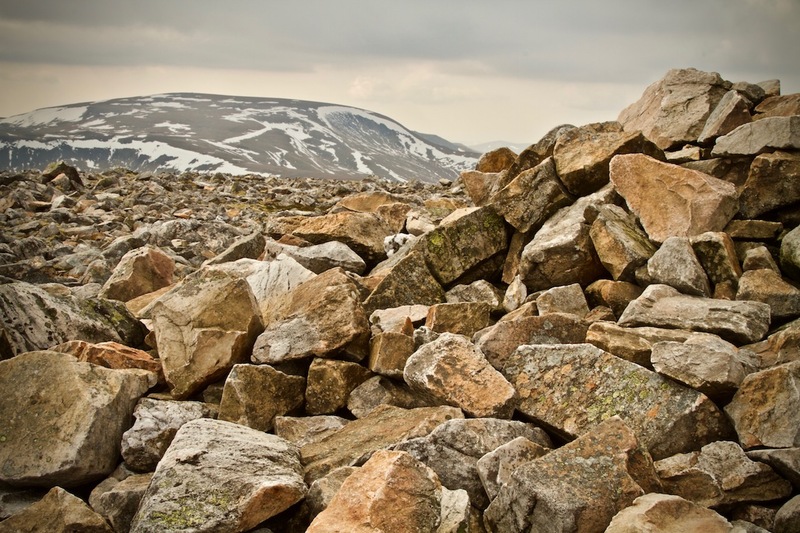 Looking towards Glas Maol from the rocky summit of Carn an Tuirc. The clouds stayed above the summits. 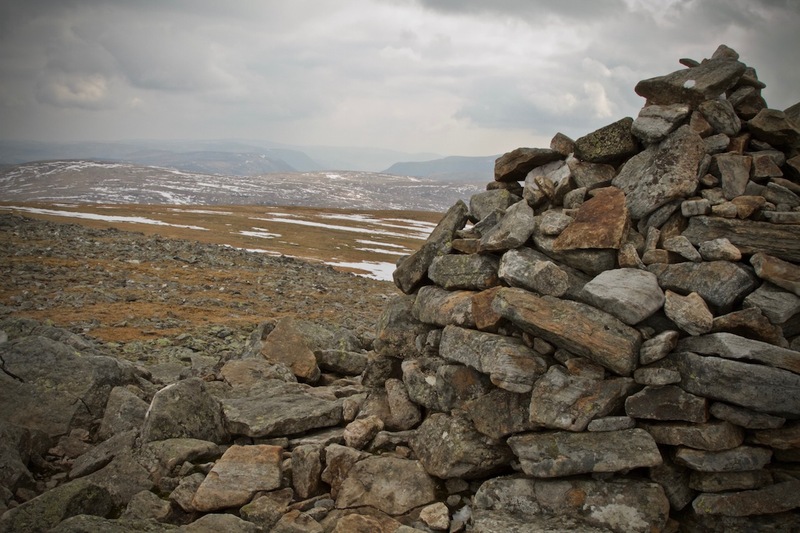 From Cairn of Claise, looking to Glen Clova in the distance. 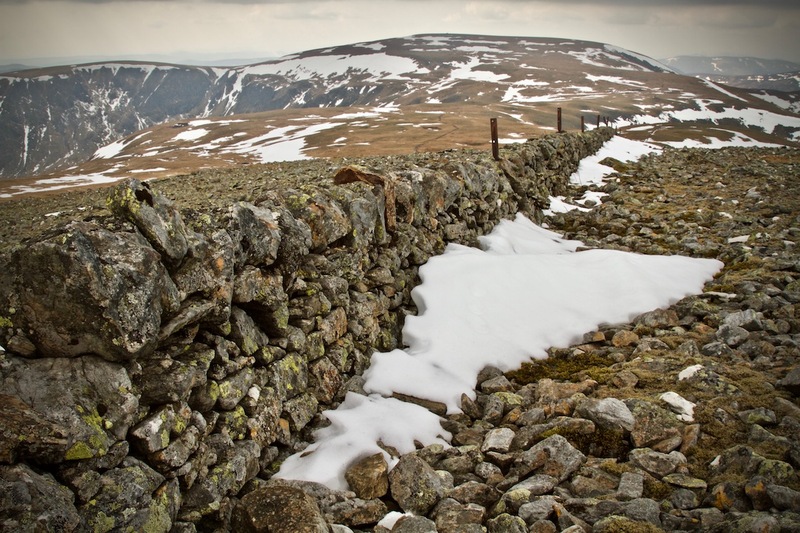 The wall leads onwards to Glas Maol. 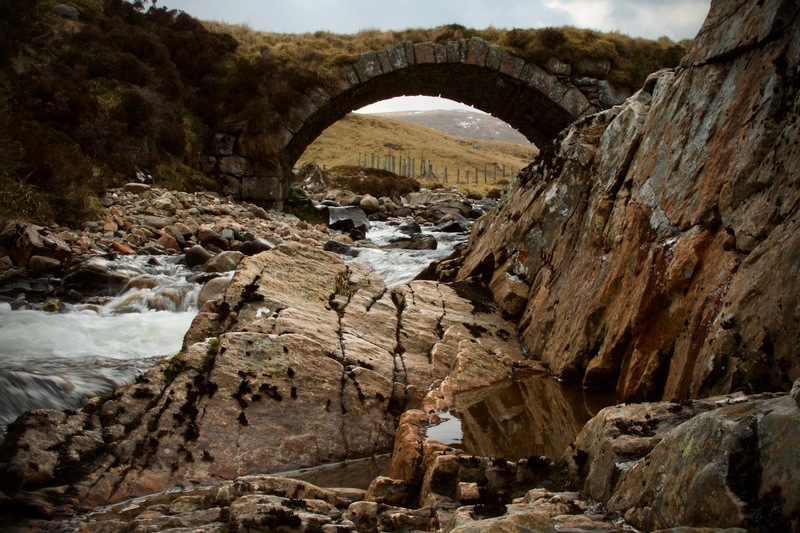 Garbh Corrie. The snow cover has been diminishing since last weekend. High well defined corries now hold greatest amounts.